An investigation is ongoing and is currently being handled by the Monterey County Sheriff's Department. A friend of one of the owners involved in the Pebble Beach art heist said Tuesday that she was the one who sent out a letter that makes claims and charges against the district attorney and sheriff's department. In an e-mail to Action News, Sage Ratcliff said she sent the 34-page memo to the Monterey County District Attorney's Office without the knowledge of her attorney of Benjamin Amadio. Amadio and his business partner, Dr. Ralph Kennaugh, said somebody broke into their Pebble Beach rental home on Sept. 25 and stole millions of dollars worth of art. 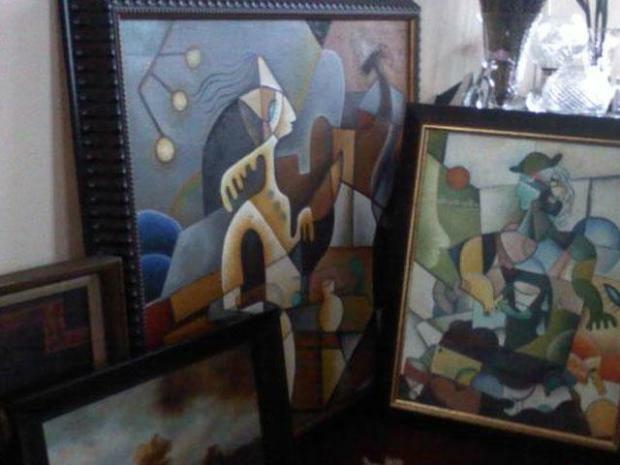 The heist allegedly included works of art by Jackson Pollock, Vincent Van Gogh and Rembrandt. Amadio told KSBW in Salinas on Monday that a final copy version of the document would be released to the district attorney's office today. The memo, which is addressed Monterey County District Attorney Dean Flippo from A. Benjamin Amadio, refers to the Monterey County Sheriff's Department as "bad actors." In it, Amadio said the lack of a thorough investigation by the department in the art heist stems from Amadio's relationship with Ratcliff. He alleges Ratcliff's stepfather has ties to the CIA and that her father is a deputy with the sheriff's department. "He's not someone who even works here," Cmdr. Mike Richards said. "Amadio seems to focus on a woman who we have no idea who she is. I understand she was arrested by our office but it has no bearing on our investigation." But in the memo, Amadio insists the cronyism in the sheriff's department is the reason his artwork is still missing. He said he was threatened at gunpoint by men with CIA ties, or ties to the sheriff's department. Amadio said he reported the incident to the Seaside Police Department, which did not take him seriously. Amadio also alleges District Attorney Gary Thelander was involved in the plot. 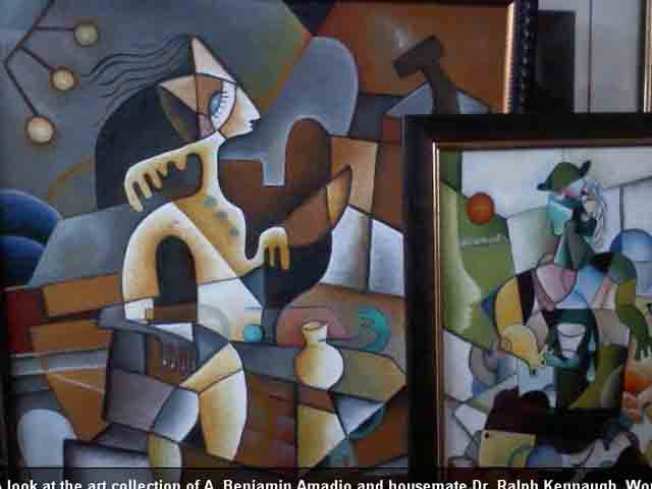 Because of the lack of an insurance policy and proof of ownership of the paintings -- proof Amadio said was stolen with the paintings -- the sheriff's department held a news conference in October where Richards said his department had not ruled out Amadio and Kennaugh, a former Harvard professor, as suspects. "We still have two open cases. The initial investigation into the burglary in Pebble Beach, which basically got nowhere because of the lack of cooperation on the part of the victims, and also (we) have the related investigation into possible fraud involved in part of the victims. So, they are suspects in that investigation," Richards said. "I have no idea what he's trying to accomplish with that letter." In another twist to the story, Amadio's lawyer, Vicki St. James, whose letterhead is used on the document, issued a statement Monday that said, "I want to make clear that I did not request such a memo to be created, nor did I write, review or approve of the memo." This article originally appeared on KSBW.com.